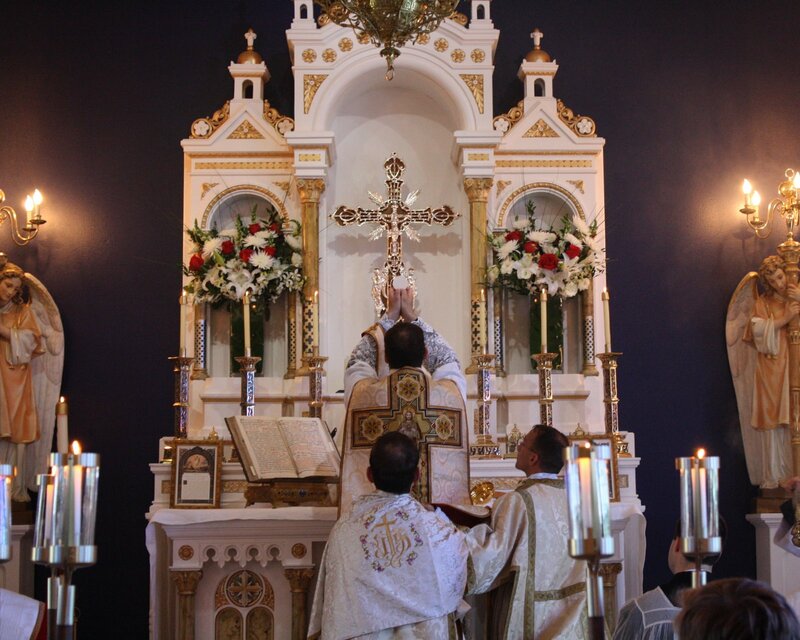 This past April 2009, the New Liturgical Movement commented on the Dedication of Christ the King Church in Sarasota, Florida (FSSP). 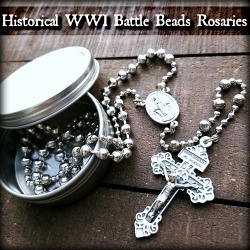 The above image is from the New Liturgical Movement. The following are the Mass times for this apostolate, and worthy of mention, during Mass times, you can watch the Mass using the Streaming Video Link from the website of the Christ the King Church in Sarasota. Have any of you been there in person? On August 10, 2009, the priest Robert A. Skeris celebrated Holy Mass in the Extraordinary Form at the Gates of Dawn in Vilnius, Lithuania. The Chants were performed by Schola Cantorum Vilnensis from Vilnius. Last Sunday After Pentecost: Excerpt from Fr. Leonard Goffine's "The Liturgical Year"
In honor of the death of Emperor Franz Joseph I of Austria, who ruled for 68 years, the third longest reign of recorded history in Europe. November 21, 1916, was the day on which he died. Let us pray for his soul today and for the people of Austria. Aa-1025: The Memoirs of a Communist's Infiltration into the Church. Thank you to the reader who sent me Aa-1025: The Memoirs of a Communist's infiltration in to the Church from my Wishlist on Amazon.com. I have really been looking forward to reading this book for some time! Thank you! 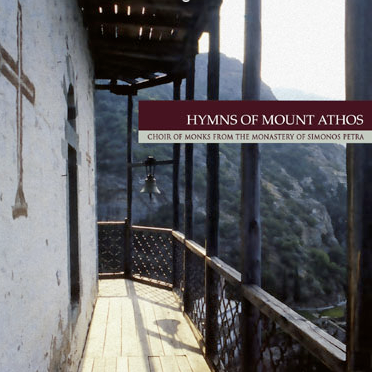 On November 17, Jade Music/Milan Entertainment, Inc. is releasing the album "Hymns of Mount Athos" by the Choir of Monks from the Monastery of Simonos Petra. Legendary Mount Athos is home to twenty Orthodox monasteries with more than two thousand monks living, praying, singing and meditating. For centuries they have dedicated several hours of the day to liturgical chant, reflecting on their faith and the depth of Byzantine culture. Simonos Petra is a beautiful symbol of monastic life. Built in the 13th century, it is home today to sixty monks. This recording, Hymns of Mount Athos, is a testimony to the pure beauty of Orthodox chant. Two weeks later, on December 1, we will release the album "The Glory of Byzantium: Christmas Hymns". 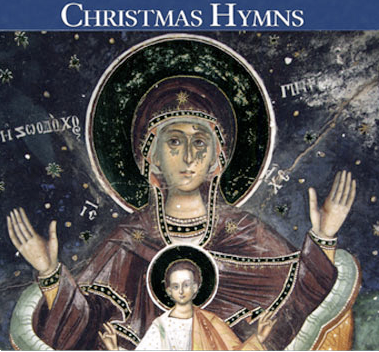 Following the success of The Glory Of Byzantium, Jade Music is releasing The Glory of Byzantium: Christmas Hymns. The album features the Byzantine Choir Of Greece under the direction of Lycourgos Angelopoulos. Compositions on this recording were mostly written by composers of the 17th and 18th centuries; Petros Bereketis, Hourmouzios Hartofylax, Petros Lampadarios, and Petros Peloponnisios among others. These centuries belong to the most important when it comes to post-Byzantine art. While I have not listened to either of these CDs yet, I am interested in them since Jade Music has consistently provided high quality products in the past. For a list of other Music CDs by them, please click on "Music Reviews." 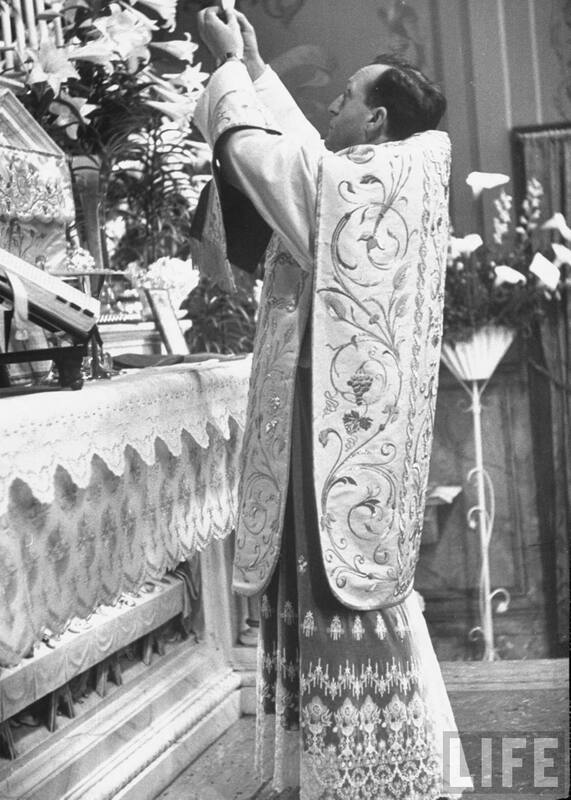 From June 2009 - June 2010, we commemorate the Year of the Priest. 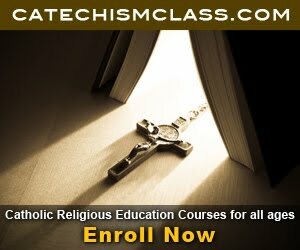 In the words of Pope Benedict XVI: "Precisely to encourage encourage priests in this striving for spiritual perfection on which, above all, the effectiveness of their ministry depends, I have decided to establish a special 'Year for Priests' that will begin on June 19 and last until June 19, 2010. In fact, it is the 150th anniversary of the death of the Holy Cure d'Ars, John Mary Vianney, a true example of a pastor at the service of Christ's flock." In light of this Year and as we soon approach half of it being completed, let us reflect on the extent to which we have prayed for good and holy priests. 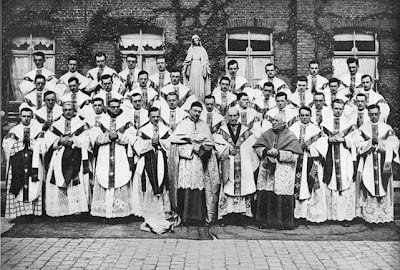 Have we prayed for holy priests to continue to persevere and fight heresy such as modernism as well as social evils such as abortion and euthanasia? 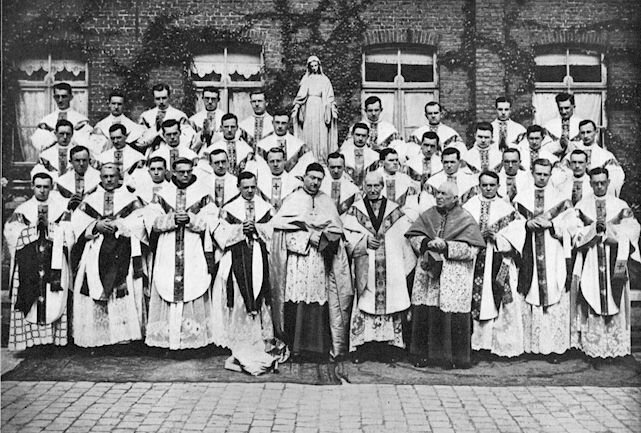 Have we prayed for traditional young men to answer the call of God to serve at the Altar as a priest? 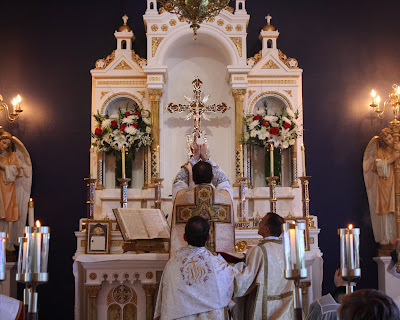 Have we prayed for more priests to help spread the Mass of the Ages and the Saints - the Tridentine Latin Mass - and helped them whenever possible to do so? 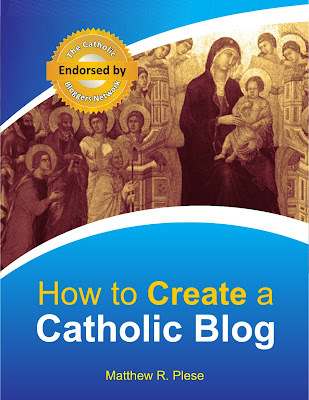 Priests are to be "Witnesses of Love"
Thank you to the reader who notified me of the following interview with Monsignor Bartolucci available on Disuptationes Theologicae [simply translate the page into English using Google Translate or a similar service].